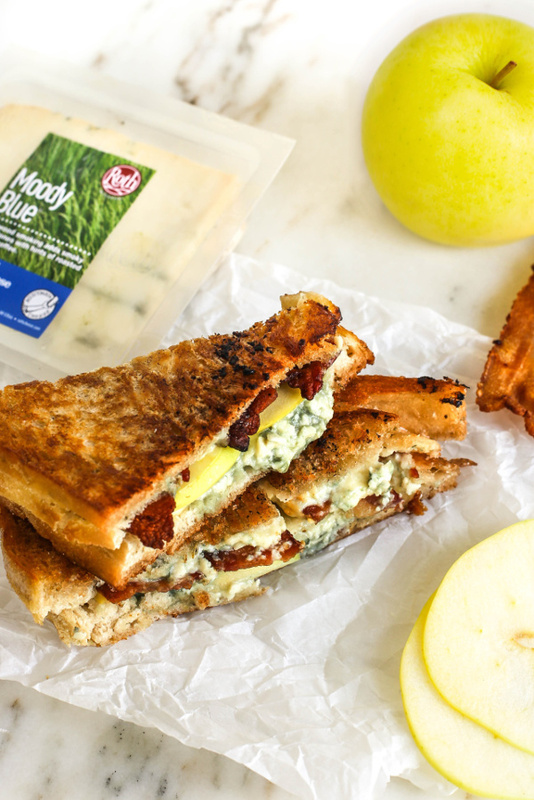 On a cookie sheet or plate, assemble sandwiches by spreading blue cheese crumbles onto one slice of the bread. 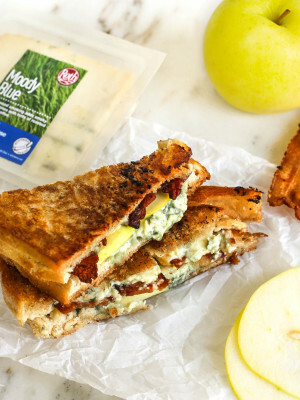 Place apple slices and bacon on top of cheese. Top with other baguette piece. In sauté pan, melt butter or oil. Grill sandwiches over medium high heat, flipping until both sides are brown and crunchy. Add more oil/butter as needed. Remove from pan and serve warm.